My friend and patron, Deb Egeland, loves to read and enjoys writing a few words about the books that she is reading. I always appreciate her perspective on books and love that she’s willing to “check out” something new and different from her usual genres. She sent me this review on “The Fireman” this summer. If you are interested in reviewing a book, let me know. Patrons of all ages are welcome to submit a one page book review on any book in our collection. Just email it to us at library@centerville-ia.org or turn it into the librarian on duty. “This morning I finished the first book I’ve read by author Joe Hill. The book was “The Fireman”. It was a very strange book. An odd virus is sweeping across the globe. Soon after being infected, the victim develops tattoo-like markings on their body. Various parts of their body may also start smoking and/or burning. Inevitably, the victim ignites completely and burns to death. Gruesome! The primary characters in the book are infected and have managed to gather into a well-hidden commune. The plot goes back and forth between the internal workings and politics of the commune, and rest of the world with it’s increasing battle to deal with the infected and to keep the uninfected ‘clean’. I wavered between disgust and intrigue, frustration and excitement, disbelief and page turning. There were a few times I considered putting the book down for good and calling it quits. I persevered and finished it. I can’t say it was the best use of my time; but it was different than my usual reads. It is always good to get out of the rut once in awhile. Inspired by the true story of a woman, Charlotte “Charley” Parkhurst (1812-1879), this blend of fact and fiction tells the tale of a courageous nineteenth-century heroine. “The Whip” explores the tragic, and for much of her life, unorthodox life of a woman who chose to live as a man. “Charley” even voted in the 1868 American election before women were allowed at the polls! Charlotte suffered a series of devastating losses in her younger years. Her African American lover, who was a runaway slave, was murdered and she lost a daughter. But, she went on to succeed in a profession that those of her own gender were not allowed to pursue. “Charley” became a renowned stage coach driver and shows us a fascinating portrayal of this admirable historical figure and delves into the complex character of a tough woman combating old-school tradition and unhealthy stereotypes. She identified with male-dominated activities and interests, so she dressed like a man and learned to project a male image so convincing, her colleagues never questioned it. 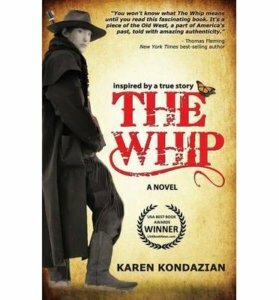 “The Whip” is action propelled and a riveting story. It showcases the best and the worst of America as our country began to transition into a progressive society. This book was highly recommended by a friend and its been difficult to keep it on the shelf! You can find a copy now on our new book table…Enjoy! Dysfunctional family relationships are Anne Tyler’s forte and her retelling of Shakespeare’s “The Taming of the Shrew” gives her plenty to work with! In Tyler’s revamping, the shrew is Kate Battista, an abrasive preschool teacher with a bad hairdo and an unapologetic way with “honest” truths. (“I hate small children… They’re not very bright, if you’ve noticed.”) Once a “thorny child” and a “sullen teenager”, Kate is now housekeeper to her scientist father, the controlling and selfish Dr. Battista and her attractive, popular teenage sister, Bunny. When a prestigious research project of Dr. Battista’s is threatened by the imminent deportation of his brilliant Russian lab assistant, Pyotr Cherbakov, he decides to marry Kate off to get the young man a green card. You can imagine how well this goes over with Kate. She is furious, but you find yourself wondering if she will give in to these two characters’ charm. Tyler gives a simple pre-feminist tale a number of clever tweaks. Shakespeare’s blunt shrew-tamer, Petruchio, is one of his more problematic male characters. In a neat twist, Tyler rewrites his boorishness as foreignness and a lack of finesse with the English langage.. Pyotr seems as much an outsider in polite society as Kate: “In my country we have proverb,” Pyotr was saying. Don’t they always, Kate thought. “We say, ‘Work when it is divided into segments is shorter total period of time than work when it is all together in one unit.” “Catchy,” Kate said. I have really enjoyed this story. I read “Shrew” so many years ago and this new, sharp interpretation did not disappoint. This novel was written and published through the support of The Hogarth Press and the Hogarth Shakespeare Project, both of which support Shakespeare’s works retold by acclaimed and bestselling novelists of today. You can find “Vinegar Girl” in the fiction section. We are gearing up for the RAGBRAI riders to visit Centerville and stop by the Drake Public Library! From sprucing up the building to displaying books about Centerville’s history and bicycle riding. We will be offering access to our computer labs and WIFI as well as welcoming visitors to cool off inside. We want Drake Public Library to be a welcoming place for our RAGBRAI guests. As we were pulling out books for display, I came across “RAGBRAI: Everyone Pronounces it Wrong” by John Karras (Co-Founder of RAGBRAI) and Ann Karras (long time documentarian of RAGBRAI). What a fun title! This book, published in 1999, is pure entertainment. It deals with the first 25 years of the famous ride, describes its creation, and tries to explain the ride’s continuing charm and appeal. RAGBRAI has grown by leaps and bounds since this book was released but it really does give you a feel for how very special this event is to now, generations of people. “It is, in short, a love affair between bicycle riders and the people of Iowa.” This book captures the essence of all that. I stepped way out of my comfort zone last time I checked books out. I picked up “Arcadia” by Iain Pears. It was innocently lying on the table near the front doors. It beckoned to me. This books took some diligence and perseverance, on my part, to get into. I admit that I was confused and I did some paging back and forth the first couple of sittings. I seriously thought of putting it aside permanently. Then, I was in! Interestingly, that is essentially what the story is about… There are three unique worlds, realities, times, that a very few characters overlap. Actions in one, don’t seem to directly affect another. It’s a hard book to explain. There is an elderly professor/storyteller and a young, somewhat bored girl who visits the professor and takes care of his cat. There is a group of scientists who are working on a machine to explore alternate universes. There is also a group of people living simply off the land. These three groups are in different “realities”, or are they even real? This is definitely not a book for everyone. It took intentional reading and there are times that I appreciate this. 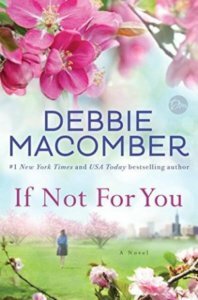 If you are in a rut, tired of fluffy romance, cringing at the gory murder mystery or find yourself zipping through books and getting little satisfaction, check this one out!